Hej, we are the Swedish Creatures! 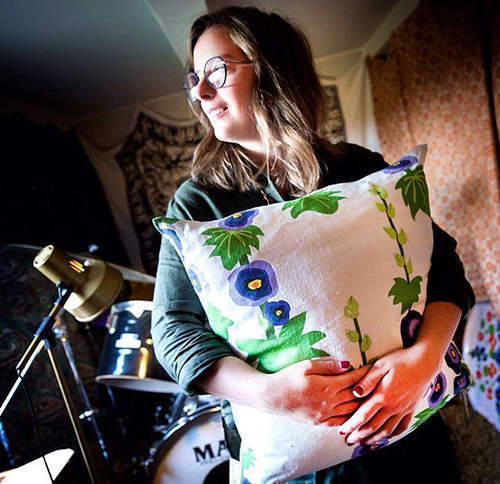 Patterns and ornaments have fascinated Kajsa since she was a little girl. It’s something special about their rhythm and how they can tell a story that catches her eye and mind. Through her art work she passes on and shares this passion. Kajsa likes to start her art work with analogue sketching and afterwards she finishes off the illustration digitally. Kajsa has a Bachelor of Design with a focus on sustainable development. She lives in the South of Sweden, Skåne, in a wooden house in the country side. She is inspired by the everyday things around her, such as nature and plants.